Infrared (IR) radiations, discovered in 1800 by Herschel waited only 30 years to be measured by the first detectors (thermopiles). Fifty years later, in 1880, the first IR photographic image was obtained by William de Wiveleslie Abney. Finally, after eighty-three years, in 1963, the first mono-detector IR camera, produced by AGA, appeared. 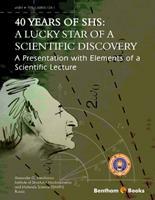 This event was a real revolution for science, industry and medicine. However, after a period of enthusiasm, some disappointment occurred due to the rather qualitative performances and exploitations of the cameras. The second revolution occurred in the last decade of the XXth century, due to the conjunction of an important effort in the understanding and modelling of the thermal phenomena involved in the observation of the scenes by passive and active thermographic techniques and of the appearance of focal plane array cameras which allowed higher thermal sensitivities and more precise time and space analysis of thermal fields. To conclude this ultra short historical overview of the IR thermography, let me recall that in 2010 an IR camera with a thermal sensitivity of 1mK was presented. It should be clear that such a sensitivity opens up a harvest of new perspectives. The consequence of these technical progresses is the booming development of thermographic techniques in more and more diversified application fields. This situation requires that seminars, conferences, journals and books allow the practitioners to confront their respective approaches, since such a comparison is the source of mutual enrichment and innovation. The present ebook participates to this multidisciplinary dissemination of information. In the first part of the ebook, the roots of thermography are described. A chapter details the origin of the technique and its theoretical basis, another one recalls the history and the new trends of the infrared detectors which constitute the “heart” of the IR cameras. These practical applications, based on theoretical approaches that consider both direct and inverse problems, demonstrate that thermal phenomena can be related to many physical phenomena, which explains the rich variety of applications and the success of infrared thermography. Furthermore, a chapter is specially devoted to stimulated – or active – thermography, with its two main variants using pulsed and modulated sources. 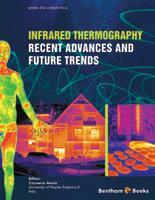 Each chapter written by an expert in the related field, gives an updated vision of the techniques, and makes this eBook a useful tool for thermography practitioners active in research laboratories and industries. Over two centuries passed since the first stone posed by Herschel in the foundation of the infrared radiation world. For many years, infrared thermography IRT had been a subject of dispute and investigation with great enthusiasm and wide scepticism. Today, the usefulness of infrared thermography has been amply demonstrated leading to a proliferation of infrared devices of different sizes and different performances to fulfil the requirements of the multitude of users in the vast variety of applications. The basic role of an infrared imaging system is to supply information about the temperature map over a body surface, but it is the successive processing of such a map that transforms the infrared system into a multifarious tool. It becomes an hypertermia detector for a doctor, a hot spot indicator for an electrician, a thermal junctions detector for an architect or a civil engineer, a nondestructive evaluation (NDE) technique for a product’s quality inspector, and a variety of other instruments depending on who uses it and for what it is used. Indeed, IRT can be advantageously used in many and many fields. Of course, complete exploitation of an infrared device requires the understanding of basic theory and of application standards. This ebook attempts to comply with both requirements. In fact, it includes information about: basic theory, infrared detectors, signal digitalization, the working concepts of an infrared device as well as a panorama of today’s infrared cameras, and examples of applications in many fields such as medicine, foodstuff conservation, fluid-dynamics, architecture, non destructive testing and evaluation of materials and structures. The eBook is organised in two main parts: Part I and Part II and further into several chapters. The Part I includes two chapters. The first one, by the Editor, deals with basic theory, which is described following the historical steps by eminent scientists, from Herschel, to Nobili, Melloni, Stefan, Boltzmann to Planck and others. The radiation mechanisms with the most important parameters, which play a key role in the acquisition and interpretation of thermal images, are recalled and discussed. A section is devoted to detectors used for infrared technology. The main steps in detectors’ development following the technological progress are also drawn. The second chapter is by Roberto Rinaldi of the Infrared Training Centre (ITC) by Flir Systems in Milan (Italy). This chapter is concerned with an overview of infrared imaging devices from the first prototype developed in 1958 to the multitude of models, which are available today. The historical evolution of the infrared technology is traced within the key features of each model. In particular, some basic characteristics and performance are described, which may help the reader in the choice of the most appropriate device for the specific application. Part II is subdivided into four sections and many chapters, which are numbered following part I. The first section includes applications to medicine (Chapter 3) and veterinary (Chapter 4). The study of the temperature of the human body has been associated with health as far back as the 1st century BC, when Hypocrites (the father of medicine) used the sense of touch for skin surface temperature anomalies to determine the health of his patients. Even today, monitoring the body temperature variation aides in both diagnosis and treatment planning. 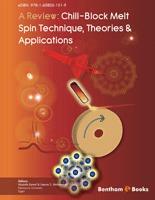 Chapter three was prepared by Boris G. Vainer of the Institute of Semiconductor Physics of the Russian Academy of Sciences. This chapter reports on the IRT’s state of the art in medicine with methodological approaches and a variety of applications such as in the diagnosis of breast cancer, in ophthalmologic surgery, in cardiovascular surgery, in the visualization of ischemic tissues and in many others. Chapter four presents the application and use of infrared thermography in farm animals and veterinary medicine. This chapter was supplied by Petr Kunc and Ivana Knizkova of the Institute of Animal Science-University of Prague (The Czech Republic). The addressed areas include reproduction, thermoregulation, animal welfare and the milking process. The application of IRT to veterinary medicine is particularly useful to predict inflammation since, contrary to human beings, animals cannot reveal any symptom before the illness has become important. Section two includes a chapter (5) on the use of Infrared thermography in foodstuff conservation by Klaus Gottschalk of the Leibniz-Institut für Agrartechnik Potsdam (Germany). It shows the usefulness of IRT to control the conservation conditions of fruits and vegetables. The main advantage of using an infrared device lies in the possibility to control and improve the climate, which is essential in prolonging the shelf life of crops. Section three explains the applications of IRT to industrial engineering. The chapter six, prepared by Giovanni M. Carlomagno of the Department of Aerospace Engineering-University of Naples Federico II (Italy), is an overview on IRT to thermo-fluid-dynamics. After recalling the first historical attempts in measuring heat transfer coefficients, this chapter describes the most useful heat flux sensors, supplies information about thermal restoration of data and shows several examples of convective heat transfer measurements in complex fluid flows, ranging from natural convection to hypersonic regime. The attention of chapter seven is focused on the application of IRT to combustion. This contribution is by Christophe Allouis and Rocco Pagliara of the Combustion Institute CNR in Naples (Italy). It demonstrates the usefulness of an infrared imaging system for understanding the fluid-dynamics phenomena associated with the combustion processes in turbine burners. The chapter eight by Ralph A. Rotolante of Vicon Infrared in Boxborough, MA (USA) explains the use of IRT for nondestructive inspection purposes. The main pulse and lockin techniques are described with some application examples, including the inspection of real aircraft parts. Indeed, a remote imaging system offers many advantages over other methodologies since it is fast and two-dimensional and guarantees the safety of the part integrity. Section four is concerned with the application of IRT in architecture and civil engineering. This is a relevant topic for infrared thermography applications after Building Regulation (2007) for Conservation of Fuel and Energy. Chapter nine by Ermanno Grinzato of CNR-ITC in Padua (Italy) reports some examples of structural analysis aided by IR thermography. In particular, it stresses the impressive help, which is given to the comfort monitoring by the distributed temperature map measured by an infrared device. The attention also goes to the possibility, using a novel method, to “see” the main environmental quantities, such as air temperature, relative humidity and velocity, obtained from thermographic readings. Besides those herein described, an infrared imaging system can be advantageously used for many other applications. Infrared thermography is an excellent condition monitoring tool to assist in the reduction of maintenance costs on mechanical equipment. One of the biggest problems in mechanical systems is the heat generated by friction, cooling degradation, material loss or blockages. The infrared technique allows for the monitoring of temperatures and thermal patterns, on a wide variety of equipments including pumps, motors, bearings, pulleys, fans, drives, conveyors etc., and also while the equipment is online and running under full load. Information acquired from thermographic images enable a company to predict equipment failure and to plan corrective actions before a costly shutdown, equipment damage, or personal injury occurs. What is more, the inspection can also be performed far away from any dangerous condition without additional costs in terms of workers’ health care. However, it has to be pointed out that infrared thermography is still not completely exploited. It could be employed in a lot of other novel applications; it is only a matter of fantasy and skill!